Beef, water, soy sauce, red wine vinegar, brown sugar, black pepper, seasoned salt, spice, other flavorings. The first flavors that I pick up is a beefy flavor, with a light salt and faint sweet. The chewing brings on a noticeable soy sauce, along with a light natural meat flavor. 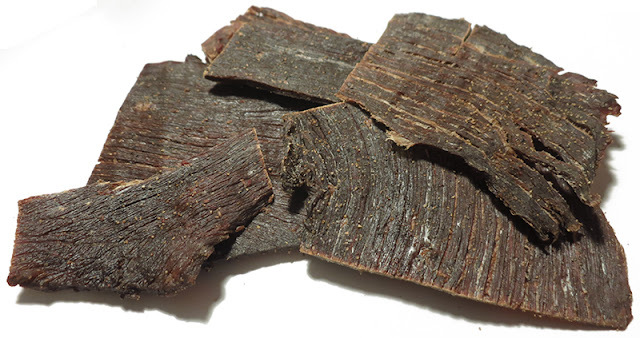 For being named, "Pepppered", it offers a light peppery taste in the background, not the sharp, pungent, spicy flavor that other beef jerky brands spank out. There is, however, noticeable sprinkling of ground pepper on these pieces. Otherwise, the primary taste profile is that of soy sauce, but a little more mild. It's mixed with a touch of sweet, hints of seasonings, and a light natural meat flavor. 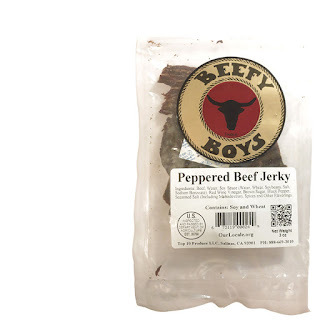 This Peppered Beef Jerky from Beefy Boys adds a light peppery spice to an otherwise mild, lightly seasoned marinade. It seems well suited for jerky snackers who want to go easy on ingredients, while enojying the natural flavor of beef. 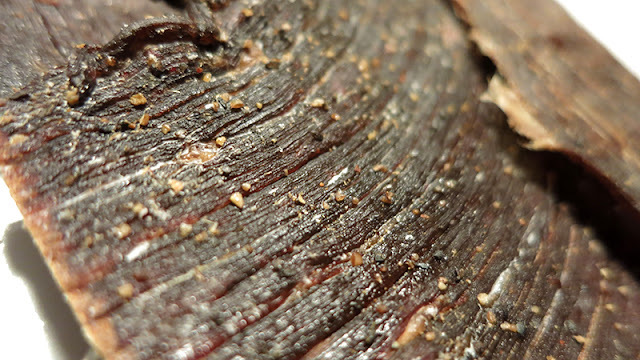 Otherwise, this is classic American slab jerky, dry, meaty, natural, in the old fashioned "rip and tear" variety. If you want to go strong on the black pepper, this isn't for you. 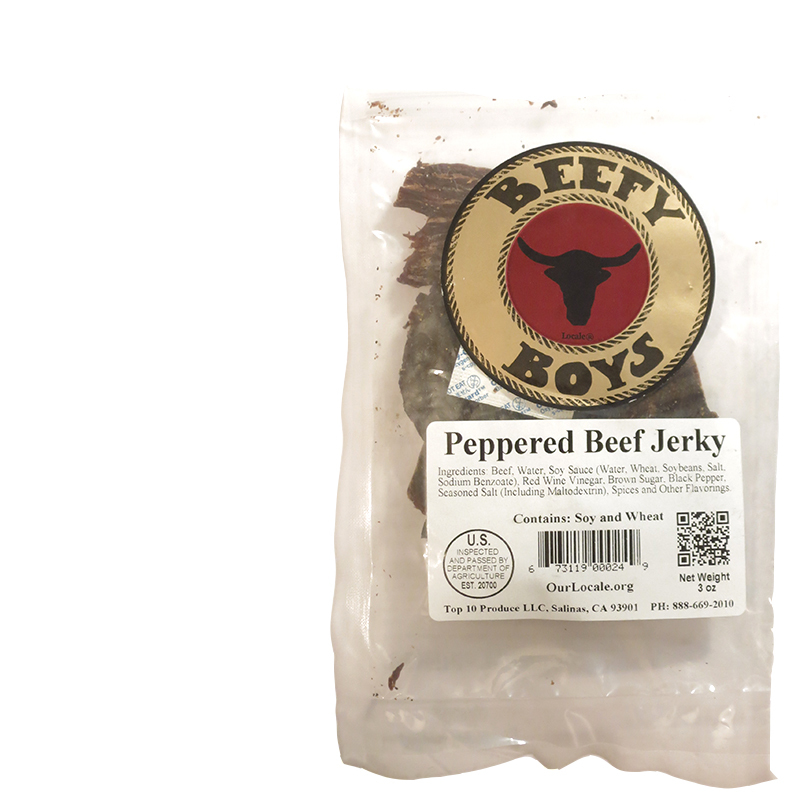 This is effectively a mild jerky that adds a touch of pepper to make it interesting.